Gum disease (gingivitis) and bone disease (periodontists) are inflammatory processes in the tissues around your teeth caused by the body’s response to local bacteria. The bacterium is present as a biofilm that causes an immuno-inflammatory process which can lead to gingivitis which in turn can lead to bone loss around teeth. The type of bacteria is gram negative anaerobes and by causing irritation and infections around your gums, this destructive inflammation is caused. This can affect the rest of the body because these bacteria and the toxins produced can spread through the body via the bloodstream and cause this inflammatory process in other areas and organs. Dr. Paulo Viana and his associates offer laser dentistry as a solution to combating bad bacteria in your mouth. The laser works by disinfecting the gum pockets of the bacteria biofilm and promoting blood flow to the site. This blood flow carries your body’s natural building blocks, to promote new bone development and replace bone that was lost due to the disease. The key is to have a bacteria-free environment to allow for healing of the bone and gums. Want to learn more about laser dentistry? Contact Viana Family Dental Centre in Komoka or Dr. Paulo Viana and Associates in London’s White Oaks Mall Dental Clinic today. 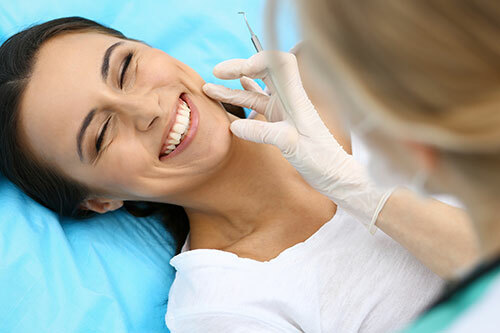 You can schedule a consultation with Dr. Viana to discuss what laser dentistry can do for you.